What is Vitamin B3, Niacin? 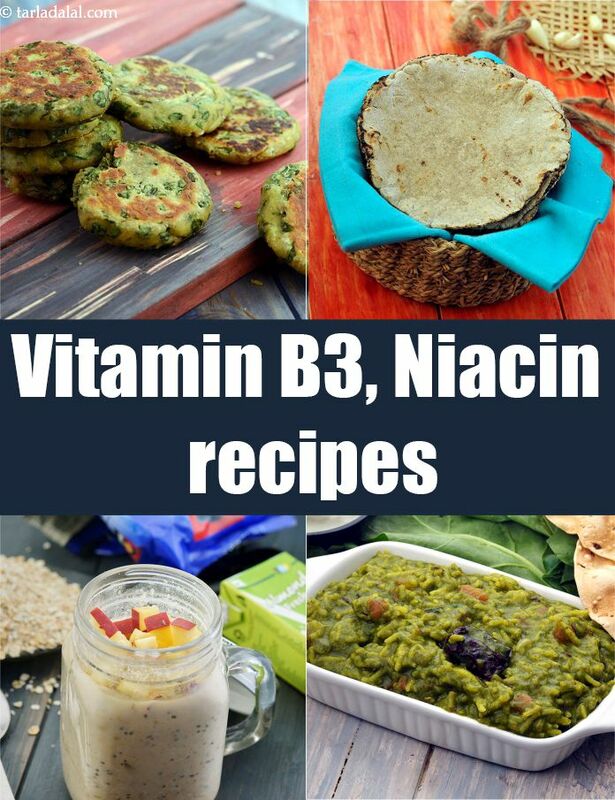 Vitamin B3 or Niacin is a water-soluble vitamin which include both nicotinic acid and nicotinamide. It has many robust health benefits. It works in close association with vitamin B1 (thiamine) and vitamin B2 (riboflavin) in cell metabolism and helps in energy synthesis. 1. Helps in cell metabolism and helps in energy synthesis. Want to include them in your diet? Try making these ingredients a must add-on to your diet. A nutritious diet which comprises of variety of whole cereals, pulses and healthy nuts doesn’t lead vitamin B3 deficiency. However in extreme cases the deficiency is termed as Pellagra. Symptoms of vitamin B3 deficiency include fatigue, weakness, skin problems, diarrhea and sometimes depression. Make the utmost benefit of our tried and tested recipes shared herewith to ensure your daily intake of vitamin B3. A word of caution! Since vitamin B3 is a water soluble vitamin, when cooking with grains, pulses and dals, do not wash them too many times. This would result in loss of vitamin B3 in the drained out water.